Ever wanted to scale Mount Everest, ride a motorcycle across Europe, or take an extended sabbatical? You can, with a five year plan. Whether it’s from a credit card, a mortgage or student loan, most people are burdened with a lot of debt. But it’s possible to pay off a large loan quickly – if you plan ahead. Cary Carbonaro, financial planner and author of The Money Queen’s Guide, has two major pieces of advice for women in their sixties who are retiring or about to retire. The biggest financial challenge facing women in their fifties is…caring for their parents, says Cary Carbonaro, author of The Money Queen’s Guide. Women who are approaching their fifties (or are already there) should formulate a financial plan for making sure their parents are safe and secure as they grow older. Turning 40 marks a major milestone. By then, women typically have already experienced a lot of life events—marriage, children, career—and need to be prepared for more changes ahead. 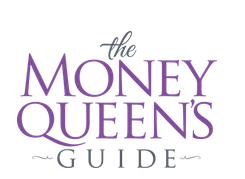 Cary Carbonaro, The Money Queen, shares some money advice specifically for women in their 40s. Your thirties bring forth a decade of increased financial responsibility. Cary Carbonaro, financial planner and author of The Money Queen’s Guide, gives some financial advice that will help you glide through your 30’s.